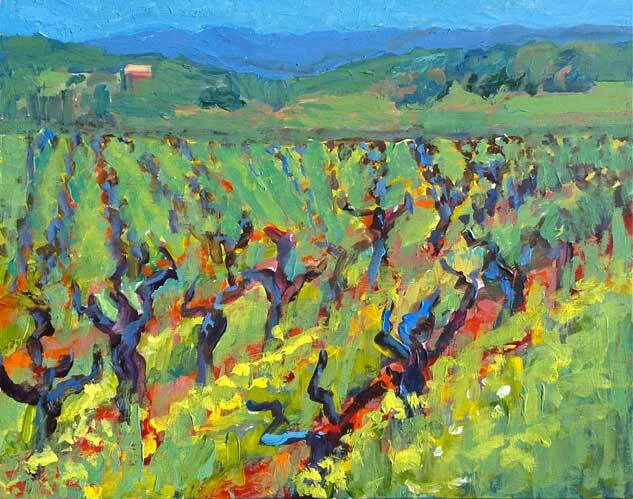 My fauve paintings from the past twenty years are on this page, many of them California plein air paintings. 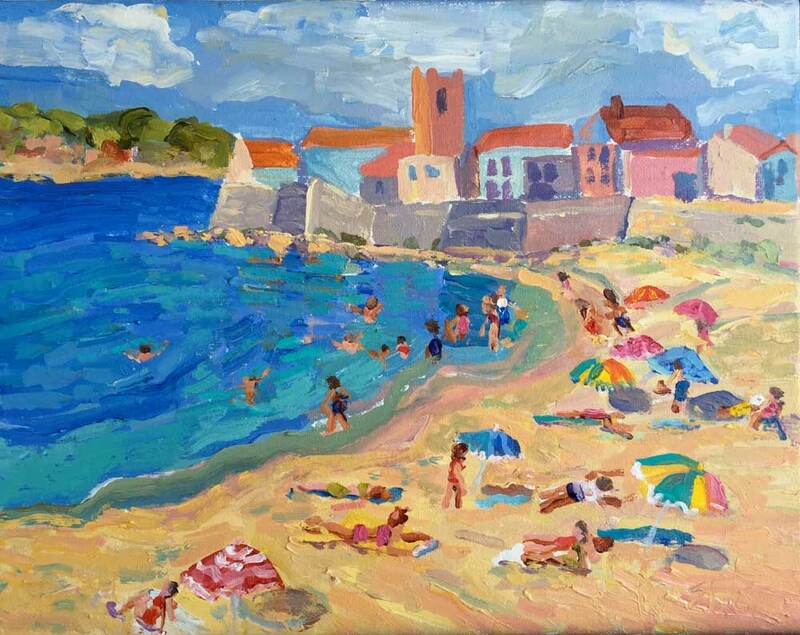 I am an impressionist, with fauvist tendencies. 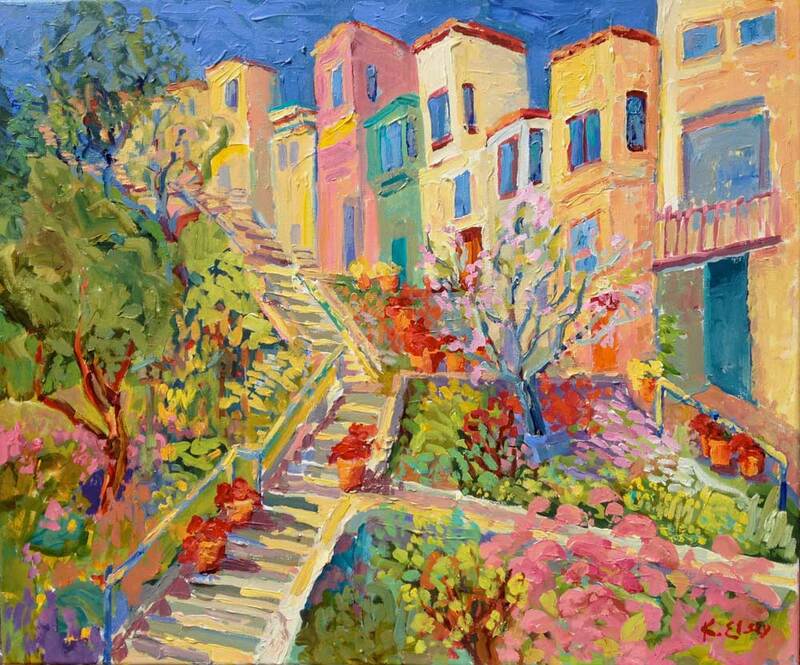 I love color and paint bright and happy scenes. 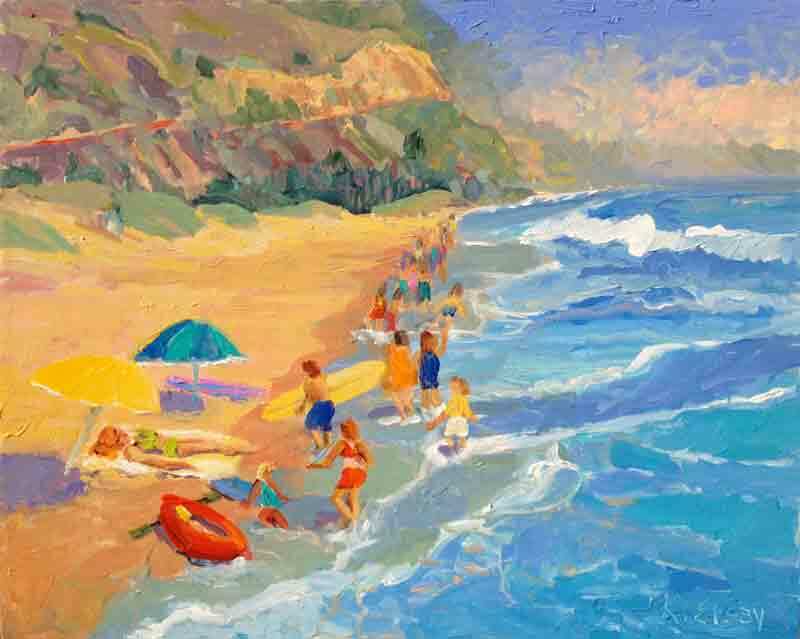 A plein air painter friend once said to me as we were painting on a super foggy California beach, "Kathleen, you see sunshine everywhere." She was seeing and painting the foggy beach and I was painting sunshine everywhere on that same foggy beach. Old "Wood Truck" was made one hot summer morning and afternoon at Island View Nursery, just south of my home in Santa Barbara. Nestled in the foothills of the Carpinteria Valley, the nursery is a feast for the eyes. 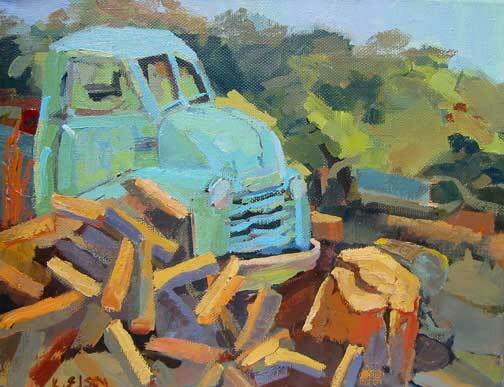 This old truck with a pile of wood was hidden amongst the avocado trees on the side of the nursery. 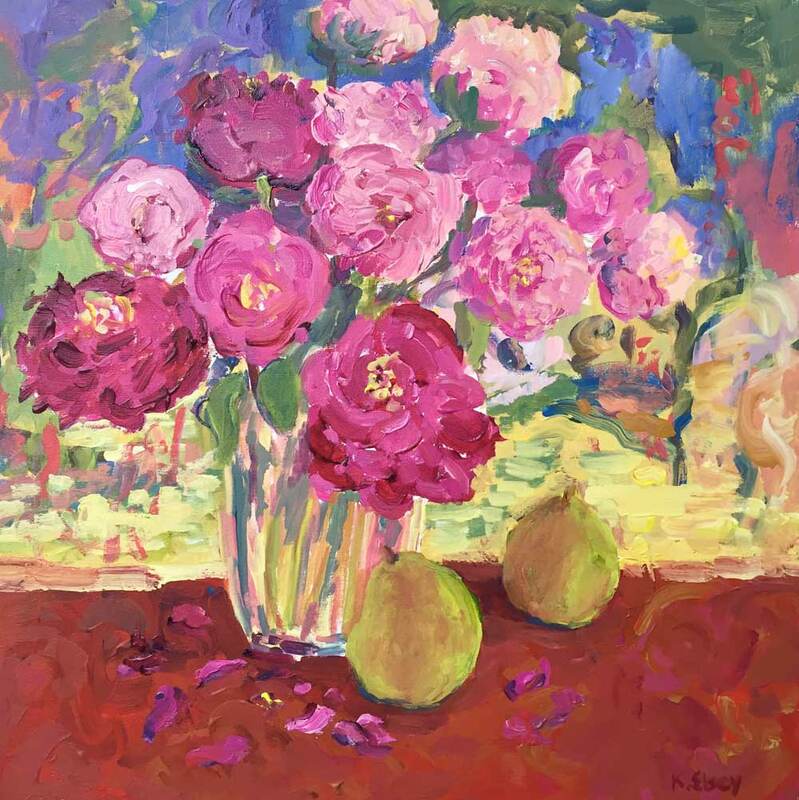 I am inspired by the famous French Fauve painters of the early 20th century, Maurice Vlaminck, Henri Matisse and my nine fellow New Fauves from around the world. 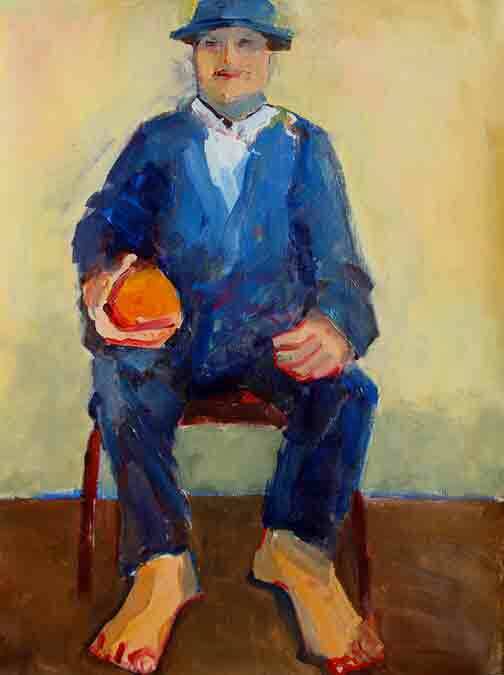 I also find the Society of Six, from San Francisco during the early 20th century, especially Seldon Gile, a constant source of learning and inspiration. 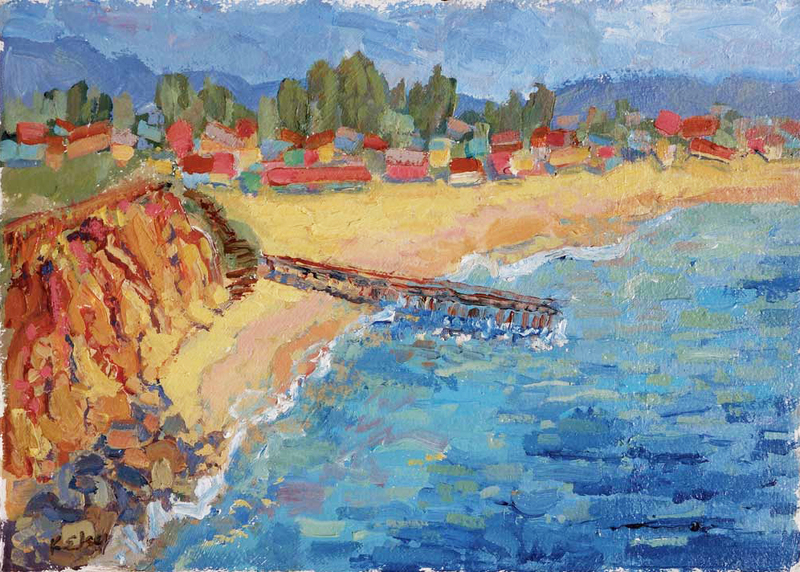 There is a beautifully written and well-printed book called “The Society of Six, California Colorists” by Nancy Boas full of the history of these six painters from the San Francisco area and it is chock full of their colorist paintings. 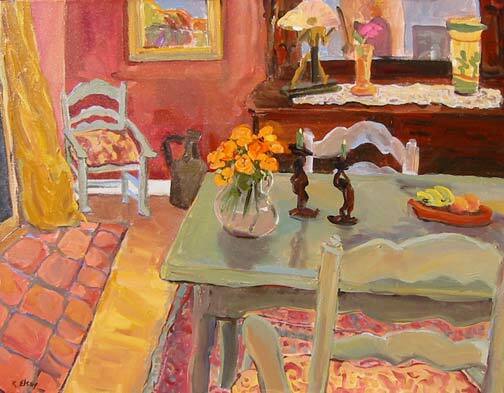 I find it a wonderful source of inspiration and often discover solutions to my painting problems by looking to see what Seldon Gile would have done in my situation. 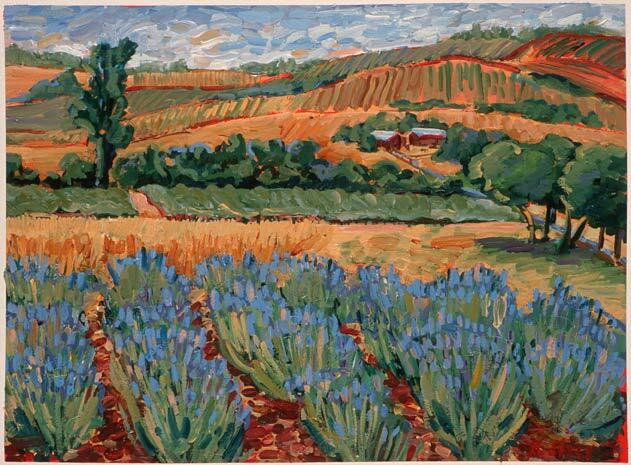 And looking further back in history, Vincent Van Gogh has helped me with many of my paintngs. 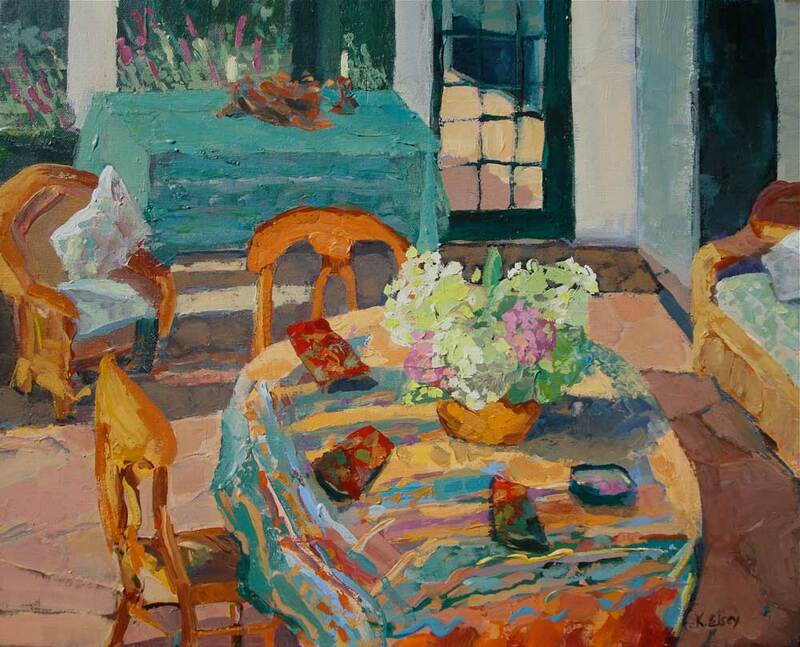 Above is “The Porch, Sunday Morning” the first of my series of porch paintings. 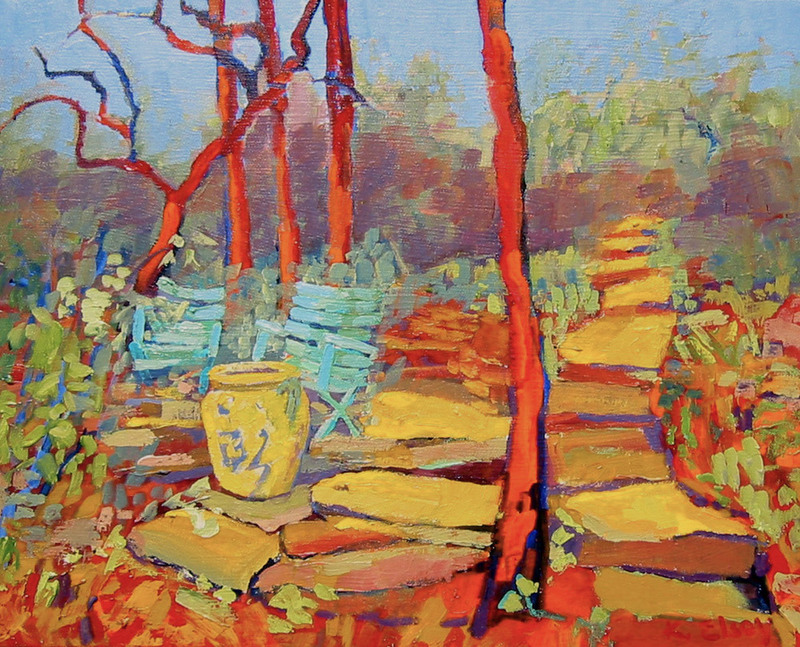 It was begun as plein air on location inside the screened in porch and later finished in my studio. 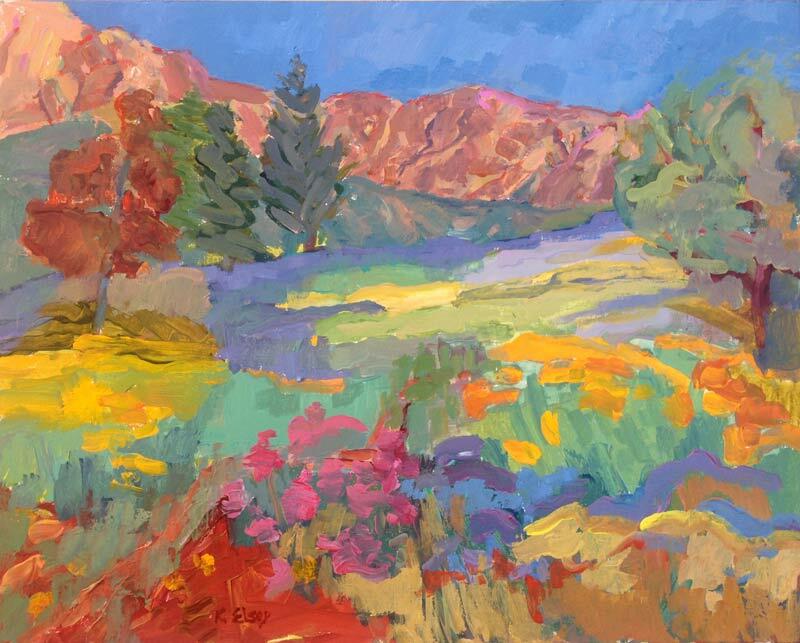 “The Writers’ Garden,” above, is a plein air painting from Sonoma, California, on my favorite Sonoma mountain. 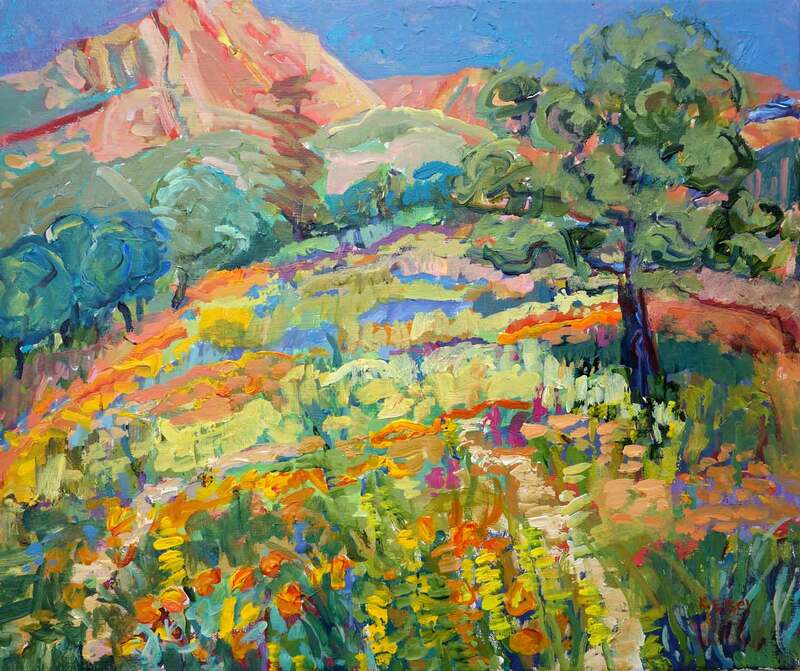 I lived there and made many of the paintings below on this mountain for four years before moving to Santa Barbara. 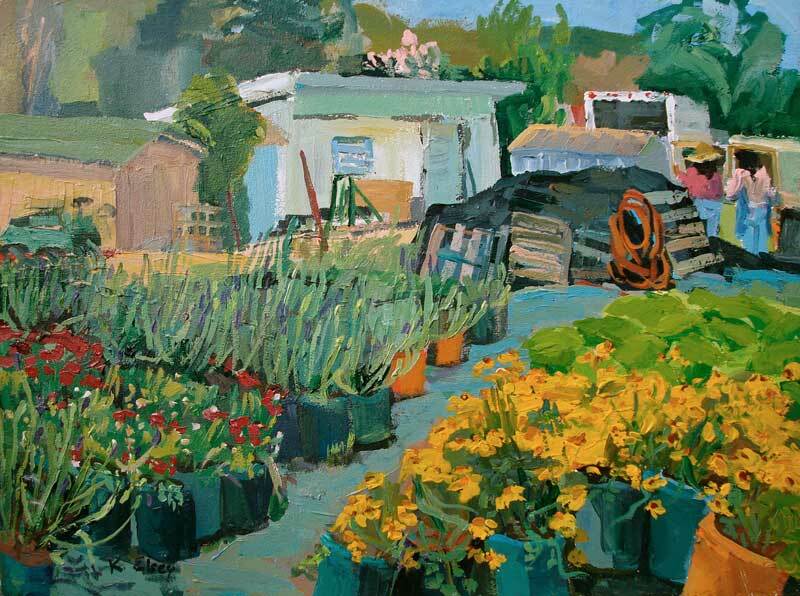 If	you	like	this	painting,	you might also like my painting of the Santa Barbara Botanical Garden Nursery. They were painted within two weeks of each other and both paintings won awards on the same weekend. Santa Barbara Nursery won a ribbon in the Scape Spring exhibition on Friday evening while I was in Carmel. I was saying to myself "I think I came to the wrong painting exhibition." Then the next day, awards were announced at Carmel, and they had created an award for me. 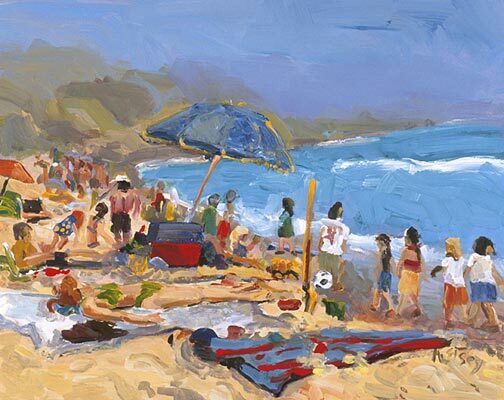 Since I painted in acrylic, and usually there is a "Best of Oil Award," they created the award "Best of Oil or Acrylic Painting." 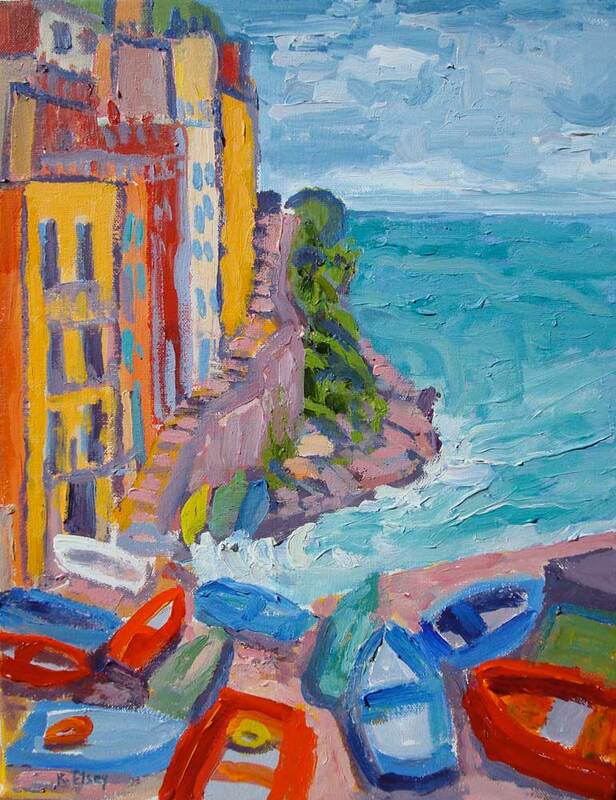 It was a great weekend for a Fauve plein air painter! 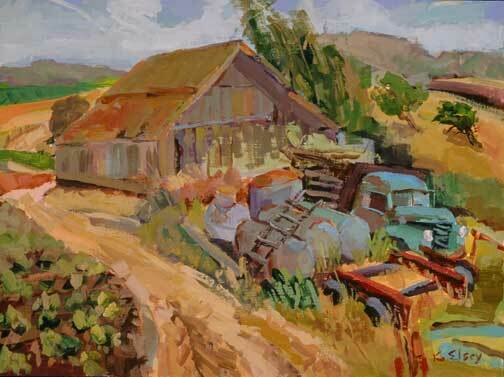 “Truck for Trade" by Kathleen Elsey, signed lower right, Carmel Plein Air Festival 18" x 24"
Paintings on this page are sold. 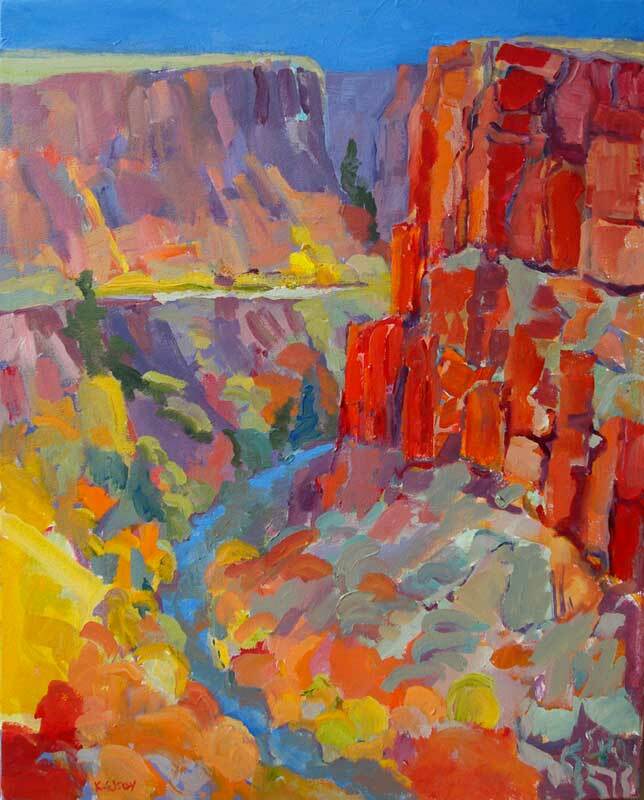 Select any thumbnail for details about each painting. © 2019 All photos and content of this website are protected by U.S. & International copyright laws. They MAY NOT BE USED for reproduction in any manner without written authorization from Kathleen Elsey.